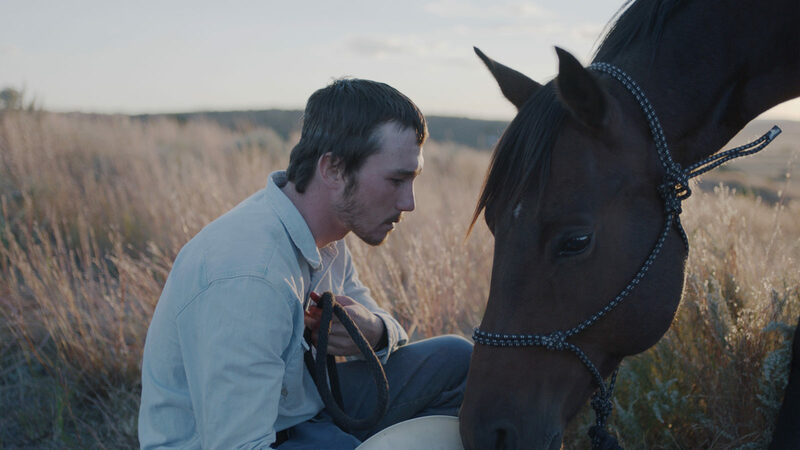 Chloe Zhao‘s The Rider is the measured tale of Brady Blackburn (played by Brady Jandreau) who is forced to rebuild his life after being tossed from a horse at a rodeo. You have to bear with it for the better part of the first hour as the film slowly builds characters and sets all the situations. It’s a slowly building film that ends on a very real, very emotionally satisfying conclusion. This is real life and not a literary invention so nothing happens out of left field, it is the flow of life. The cast of non-actors is excellent and essentially seems to be reenacting their lives, a feeling reinforced as we watch home videos of the actors in earlier days. While the lack of professional training makes for some awkward moments, it also keeps the film very real and close to our hearts. Had this been big name actors the film would have been laughable but in the hands of these non-actors the film gains a gravity it couldn’t have any other way. THE RIDER is a solid slice of life drama, recommended when it plays at NYFF. For tickets and more information go here.